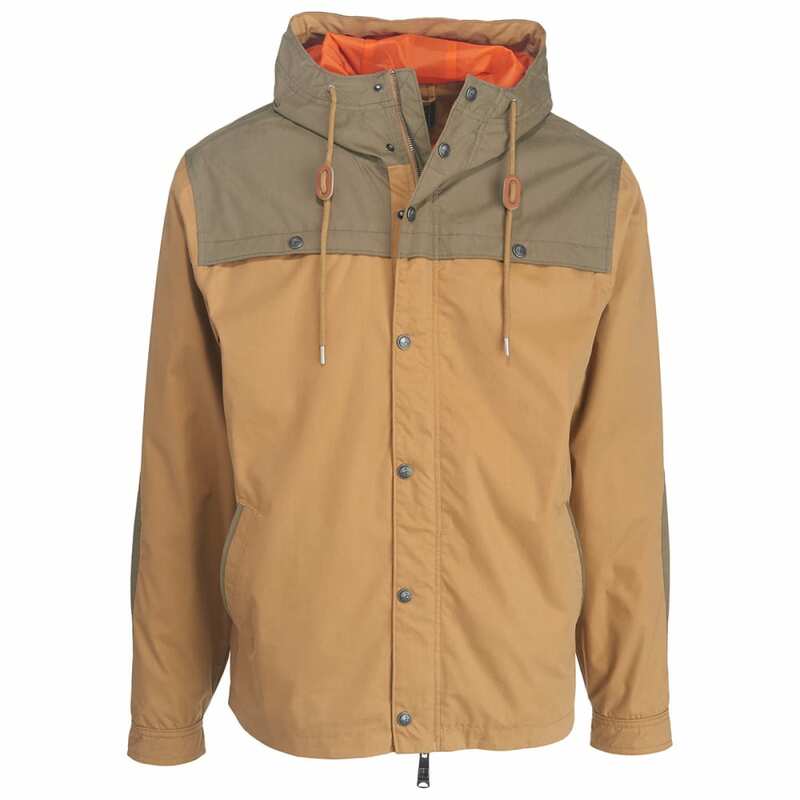 The Crestview Eco Rich Hooded Jacket is newest entry in Woolrich’s Eco Rich collection. Made of an organic cotton/nylon blend that's waterproof, breathable and critically seam sealed, it's designed to keep you dry in damp or rainy weather. Contemporary two-tone design pairs a dark yoke and hood over a lighter lower body and sleeves. Full-length front zipper is concealed by a snap-over storm flap. Flange-style front yoke protects chest pockets and secures with vintage snap closures. Lower hand warmer pockets are trimmed in contrast fabric. Adjustable-cuff sleeves have contrast fabric elbow patches. Adjustble hood. Curved bottom hem is 1 ½in. longer in back. Shell: 75% organic cotton, 25% nylon, waterproof breathable plainweave, 5.25 oz. Body lining: 100% nylon taffeta, 2 oz.